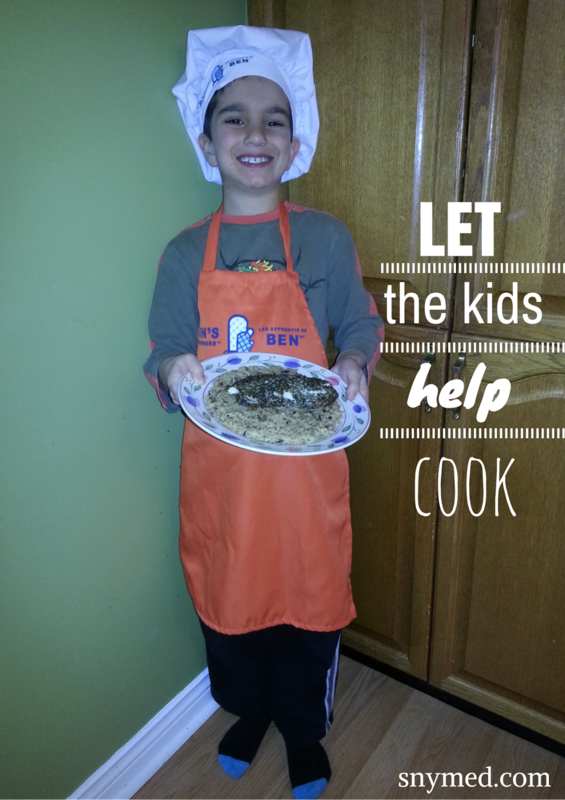 Teaching Our Kids to Cook: Parmesan Crusted Tilapia Recipe! 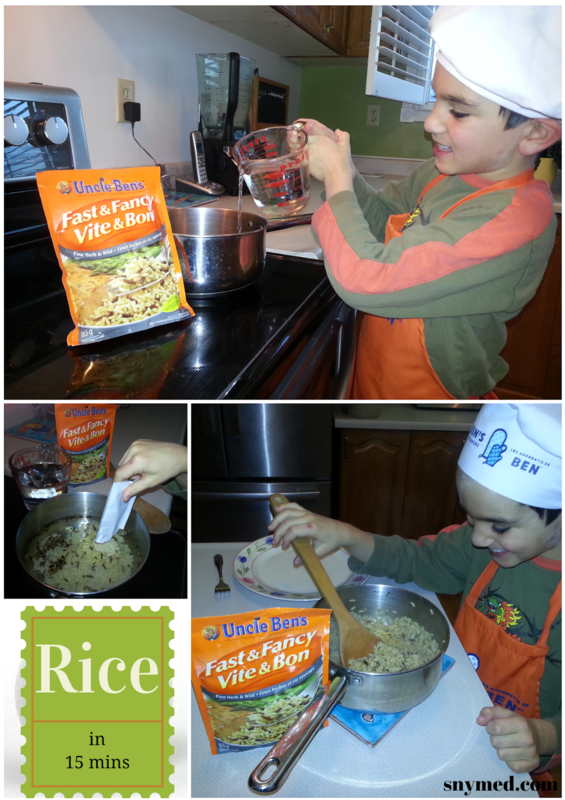 Last month my kids spent the day with professional chef Amanda Riva, creating two delicious recipes using Uncle Ben's rice. The kids and I also appeared in a video of their cooking session, which you can see above! It was a great time to get all the kids involved with the cooking, and I wrote about their cooking session here. Yesterday, my oldest son asked if he could help my husband and I prepare dinner. My other four kids were busy with other things, so it was perfect to have one-on-one alone time with him. Although it was freezing cold outside, my husband wanted to barbecue (which we do all Canadian winter long)! 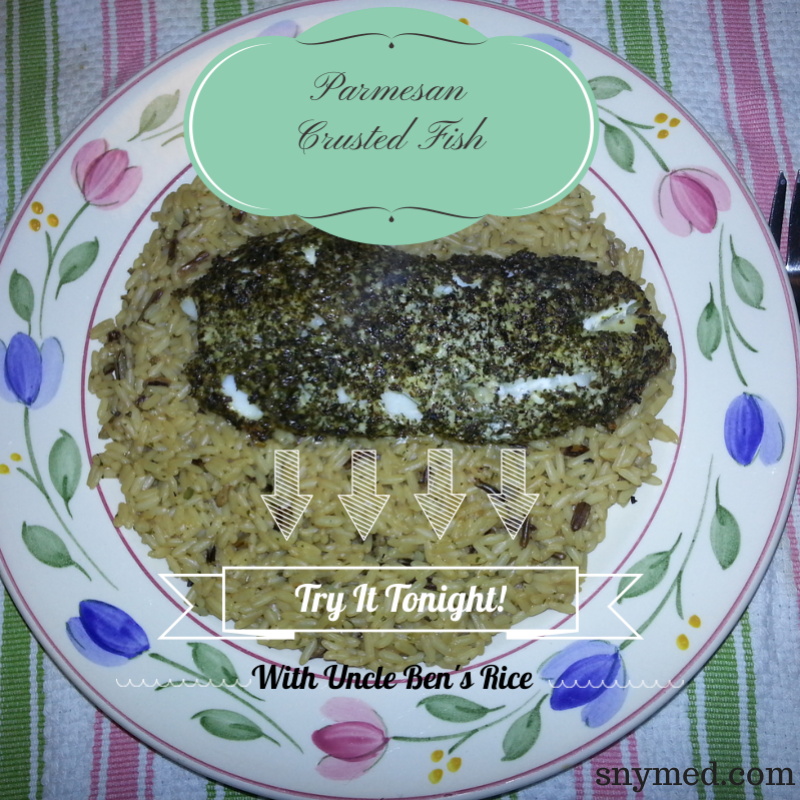 So, as my husband got the barbecue ready, I mentored my son on how to make rice and season fish for dinner (we used Uncle Ben's "Fast & Fancy: Fine Herb & Wild" rice in this recipe). We decided to recreate Amanda's Parmesan Crusted Tilapia recipe that she had taught the kids at last month's cook and learn event. As my son had already created this recipe before, I thought it would be good to see how much he remembered. Helping with the rice was easy for my son, and he followed the instructions well (measuring out the water and adding the rice seasoning into the pot). I showed him how to turn on the stove top, select the correct heat, and the correct way to stir a pot (by holding the handle in order to take control of the pot). We watched together until the water came to boiling, then covered the rice and timed for 15 minutes. When the rice turned out so good, my son was really delighted that he created this tasty pot of rice "by himself". My son is really building up his repertoire of what he can cook with supervision and he's really proud of his achievements in the kitchen. Instead of tilapia fish, we decided to use ocean perch fillets in our recipe. And for the parmesan crusted coating, I decided to make a simple coating of parmesan and basil. That's the great part about cooking from scratch: the ability to use what my family loves best, and what's on hand. When my son had finished with the fish, we wrapped up the portions in tin foil for my husband to barbecue for 10-15 minutes. I love the way that fish cooks on the barbecue, even if it's in the foil and not directly on the grill. Quickly the fish was cooked through, and my son transported the pieces onto a fluffy cloud of Uncle Ben's Fine Herb & Wild rice. Check out the delicious results, below! My family really enjoyed the Parmesan Crusted Ocean Perch on rice, and the cheese and basil really dressed up the plain fish. The meal was such a success, that I'll be adding this recipe to my monthly rotation! The rice was also super easy and turned out perfect. See Amanda Riva's recipe for Parmesan Crusted Tilapia, below. (I used different fish, seasoning and Uncle Ben's rice in my recipe recreation.) Click HERE for a downloadable version of the recipe. 1. Preheat the oven to 425°F (220°C). Combine the Parmesan, breadcrumbs, parsley, oregano and paprika. Arrange tilapia on a parchment-lined baking sheet; brush with olive oil and season with salt and pepper. 2. Coat the top of the tilapia with the crumb mixture. Bake for 10 to 12 minutes or until ﬁsh ﬂakes easily with a fork. 3. Meanwhile, prepare the UNCLE BEN’S Quick Cook PERFECTION Rice according to package directions. Serve ﬁsh with rice and lemon wedges. Have you entered Uncle Ben's Canada "Ben's Beginners" Facebook contest? Prizes available to WIN include 1 of 3 grand prizes of $20,000 ($15,000 cheque for a family vacation, and $5000 to your child's school for healthy initiatives)! There's a secondary prize of a trip to Toronto for 4 (2 adults, 2 children) to a "Celebrity Chef Experience" with Corbin Tomaszeski. Just prepare any 1 out of 36 of the featured recipes using Uncle Ben's rice, take a photograph (including the Uncle Ben's product that was used), and give a photo description. GOOD LUCK in the contest! Do you cook with your kids or grandkids? What items have you taught them to make - or would you like them to learn? 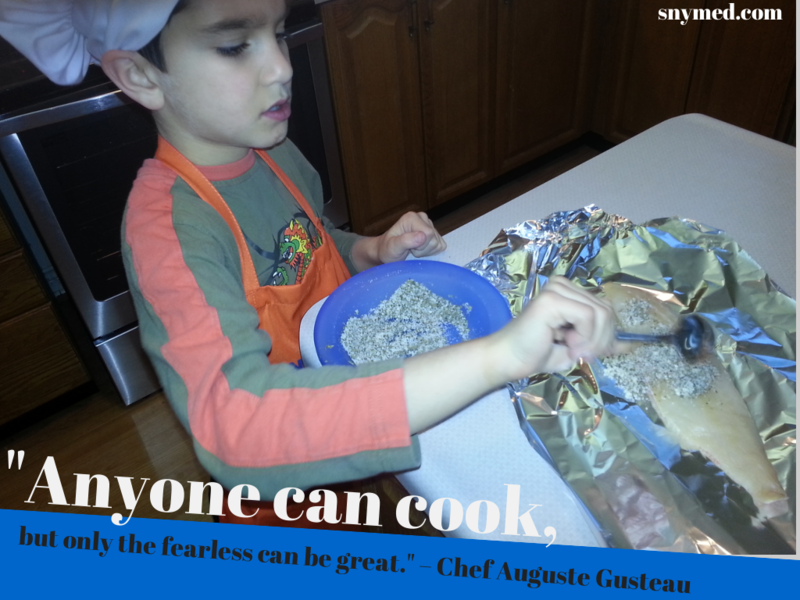 What a fun experience for your kids - and I love that your son was inspired to cook more! This is great! It looks like your kids had a lot of fun and it was a great learning experience for them as well! What a wonderful recipe. Little Man loves cooking with me in the kitchen! sounds like a yummy recipe, my kids love to help me cook! That looks really good. Looks like the kids had fun. They did amazing! YAY for your kiddies! Thanks I am very hungry now, LOL! Lastnight my DD7 asked to cook with me, we always try to make it a chance for mommy to have some one on one. I really do need to get into the habit of having the kids cook more than I have been lately. Especially the oldest, she needs to have more confidence in the kitchen and I think getting to help with dinner will help that. What a great way to spend one-on-one time with your son! Looks like he did a great job. 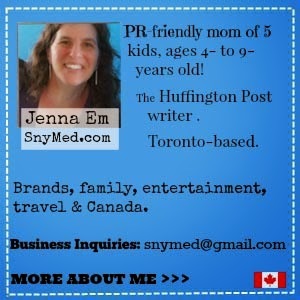 Love the video of you and your kids! I just might try that recipe next time we feel like fish...it looks delicious! I love having my kids help with the cooking. I find it fun and they learn at the same time! Looks like your kids had a blast! I LOVE Uncle Ben's! He looks like he is a natural. We always encourage our kids to cook. Teaches them so much. Sounds like so much fun for the kids. And a great contest, too. We eat a lot of Tillapia! Great recipe! I'm always trying to find new ways to cook it! Looks Like A Delicious Recipe Your Son Looks So Proud & He Should Be!! Awesome video! What a fun and unique opportunity to get to be a part of. Loved the pictures of your son cooking. It looks like y'all had so much fun with this! It's great that you are getting your kids involved in cooking! This is totally awesome recipe. I personally love tilapia, but the way I cook it is simple. Just fry it and that’s it. But your post is really something. I am thinking of adding variety to how I cook tilapia and your post is just what I needed. Thanks! Kids in the kitchen are so much fun, and this looks amazing! Put those kids to work! That is awesome you are teaching them and including them in on the fun. awww! he's soo proud of what he made! I have just recently started getting kaelyn to help prepare meals, and its amazing how into her food she is now! I think it's great you cook with the kids. I think it's so important to cook with the kids. It's not only fun, but I think it also encourages them to eat because they feel proud of what they made! I think it is great that you are teaching your kids to cook, most people don't learn and are clueless when they move away from home. Great recipe, I will try it next week! This looks so yummy and healthy too. Your son looks so proud!!! he made a wonderful dish and I'm going to give it a whirl myself, I feel like having fish and hubby just got a new tank of propane, so guess what's for supper!! Looks amazing. I love it!! Great idea to get the kids involved. It's so important to ensure kids know the importance of eating healthy. Plus they are more likely to enjoy it if the make it.